Yams vs sweet potatoes is the question. Until I became an adult, I never heard of the term yams. It was never used in our home! We always grew “sweet potatoes” and we always ate “sweet potatoes”; never yams. When I got older, I suddenly began hearing so many calling “my sweet potatoes” yams. Are they one in the same or could the two be so much alike that they are confusing? Years ago, I questioned my dad about this. At first, Dad’s answer was simply “We grow and eat sweet potatoes”. He continued to say if these are eaten in the United States, they are sweet potatoes. He went on to say that “yams” is just a “sophisticated” term people have latched onto. Now remember, at this time most people in this country were not worldly, especially in the Midwest area and especially the country people. I was still not satisfied with this question; yams vs sweet potatoes. Yams are native to Asia and Africa and the tropical regions of South America. Dad was partially right by saying if you eat it here, it is a sweet potato. Today, a few specialty stores may carry yams but back when Dad was alive, they would be very difficult to buy in this country. Yams vs sweet potatoes? 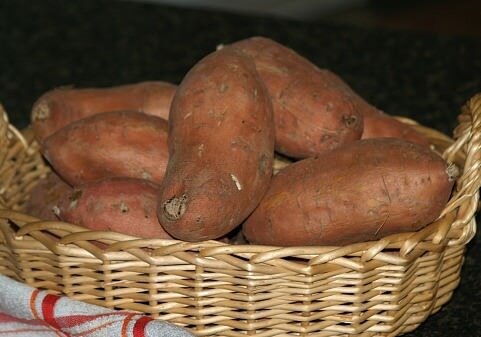 Although yams are a starchy tuber like sweet potatoes, they really do not even look like sweet potatoes. The yam is not even related to the sweet potato. They have a very dark skin color and the flesh can be white, purple or a reddish color. The taste is also different from the sweet potatoes; not as good to me but very important in the areas where they are grown. They provide a good food source, especially because of the great storing qualities. Sweet potatoes are grown in several varieties but my favorite and the ones we grew have copper colored skins with orange flesh. This is the favorite of most Americans but there are some with a lighter colored peel and are white to yellow on the inside. This variety also has a different texture; rather than creamy it is more crumbly. Yams vs sweet potatoes; so why do we call sweet potatoes yams? I cannot imagine how anyone could ever confuse the sweet potato with the yam. They are so different; mainly the only similarity is that both are tubers. I have read many different stories about what caused this debate to begin. Eventually, our government required both terms, “sweet potatoes” and “yams”, to be included in the labeling to prevent confusion. I think it makes it more confusing. Yams vs sweet potatoes. All this seem to relate to the marketing of sweet potatoes; maybe some people are turned off by the term “sweet” potatoes. Perhaps my dad was right again; “yams” could be considered the more “sophisticate” term. For me, I love good old sweet potatoes! Yams vs sweet potatoes? Sweet potatoes are “lovingly” referred to as “sweet taters” in the South Eastern United States. 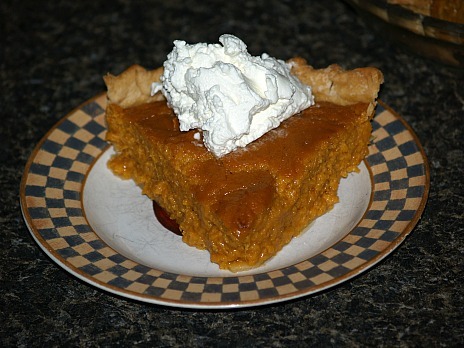 This sweet potato pie filling is a favorite for Southerners here; pour it in your favorite unbaked pie shell and bake. It is simply delicious! If you are in a place with access to yams, you might try them in this recipe. Combine sweet potatoes and softened butter in mixing bowl; beat until blended. 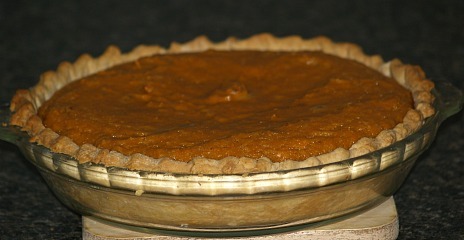 Add remaining ingredients and beat until well blended; pour into unbaked pie shell. Cool (at least to warm) before serving; top with whipped cream if desired. Preheat oven to 450F degrees; line 2 large baking sheets with foil and lightly grease. Slice potatoes to ¼ inch thickness. Dip potatoes in melted butter and arrange slices on cookie sheets so they do not overlap. Sprinkle with peanuts; bake for 15 to 20 minutes. Remove from oven and immediately sprinkle with cinnamon sugar mixture OR salt. Combine sweet potatoes, salt, pepper and egg; blend well. If mixture is to dry to shape in balls add a little milk. Divide mixture into 8 portions; shape into ball placing a marshmallow in the center. Roll balls in crushed cornflakes; quickly deep fry in hot oil and drain on paper towels. SWEET POTATO BALLS yams vs sweet potatoes which would you like? Combine sweet potatoes, salt and 2 tablespoons melted butter. Stir in marshmallows and chill. Shape mixture into balls using ¼ cup in each. Combine honey and remaining butter in a heavy skillet. Roll balls one at a time in honey mixture to coat. Roll balls in chopped pecans; place in a greased shallow baking dish. Drizzle with remaining honey butter mixture. Bake at 350F degrees for 15 to 20 minutes. Yams vs sweet potatoes either way this is delicious! Prepare 3 eight inch cake pans lines with waxed paper; grease and flour. Combine and beat together the egg yolks, sweet potatoes, cinnamon, nutmeg, cloves and vanilla. Add cracker crumbs, dates and nuts; blend in well. Beat egg whites and cream of tartar on high until foamy. Gradually add sugar by spoonful and beat until soft peaks form and sugar is dissolved. Gently fold egg whites into beaten cake mixture; divide mixture evenly among 3 prepared cake pans. Bake in preheated oven at 350F degrees about 25 minutes or pick comes out clean. Cool 10 minutes and remove from pans to rack for complete cooling. Spread filling between layers and on top. Melt butter in heavy saucepan over low heat; whish in flour until smooth. Cook mixture 1 minute while stirring constantly. Stir in the brown sugar and corn syrup; cook 5 minutes while stirring. Remove from heat; cool 15 minutes and gradually stir in half and half. Beat whipping cream until peaks form; fold into sugar mixture.